Drawing support from the international community, the Department of The Interior and Kingdom Relations (BAK) and the Ministry of Education, Culture, Youth and Sports, Drs. 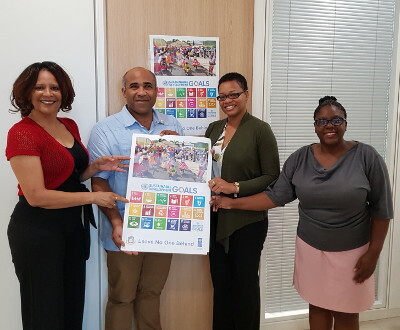 Ms. Loekie Morales (BAK) and Ms. Marcellia Henry (MECYS-UNESCO representative), forming the SDGs Think-&-Do Tank (T&DT), have invited officials of the University of St. Martin to initiate a partnership in promoting the United Nation’s Sustainable Development Goals 2030 Agenda in St. Maarten. One of the main lessons learnt from the Millennium Development Goals Agenda is, that Governments need to partner with NGO’s, the Private sector, Academia and Civil society in their countries, to determine the development areas and to use the Sustainable Development Goals (SDGs) in mainstreaming and implementing those in our policy and development plans. Since 2017, Morales has been coordinating the SDGs Think-&-Do Tank, a space to explore possible collaborative ventures related to the 17 Sustainable Development Goals (SDGs), by engaging government, civil society and the private sector. On August 21st, USM President Dr. Antonio Carmona and Dean of Academics Dr. Rolinda Carter met with Henry and Morales to brainstorm about projects that would promote the 17 goals for global sustainable living identified by the UN, among them: no poverty, quality education, good health and well-being, sustainable cities and communities, decent work and economic growth, and responsible consumption and production. Carmona and Carter, who both recently took on their administrative positions at USM, understand that when it comes to sustainable development, St. Maarten’s main institute of higher education must be on board. When it comes to the education, USM provides the country with most of its teachers. “If St. Maarten wants to raise awareness about sustainable development in this sector, it has to be through the university”, says Carmona. “Many of our BA and MA students are already working at the schools”. USM is also looking to expand its academic programmes by linking up with other universities internationally. Carmona is hoping to start a BSc. programme in Sustainable Development and Agroecology in partnership with the University of Puerto Rico, Wageningen University in the Netherlands and FAMU in the United States. This initiative tackles mainly SDGs 1, 2 (No Poverty and Zero Hunger), 3 (Good Health and Well-being, because of for food safety), SDG 8 (Decent work and Economic Growth), SDG 12 (Responsible consumption and production and SDG 15 (life on land). By opening new programmes in the areas of science, health, technological innovation, having quality (higher) education becomes -once again- an essential development goal that links all others together. Together with the Think-&-Do Tank, USM will partner with other organisations in order to propose research and media projects that will influence much of the population in terms of thinking about the environment and social equality, especially the youth. ”By targeting schools and having our youth express themselves through audiovisual work we believe we can make a difference”, said Henry. Coming up, USM will be preparing a monthly seminar series for the 2018-2019 academic year, dedicated to topics that might generate new academic programmes in the context of the United Nations SDGs 2030 Agenda. 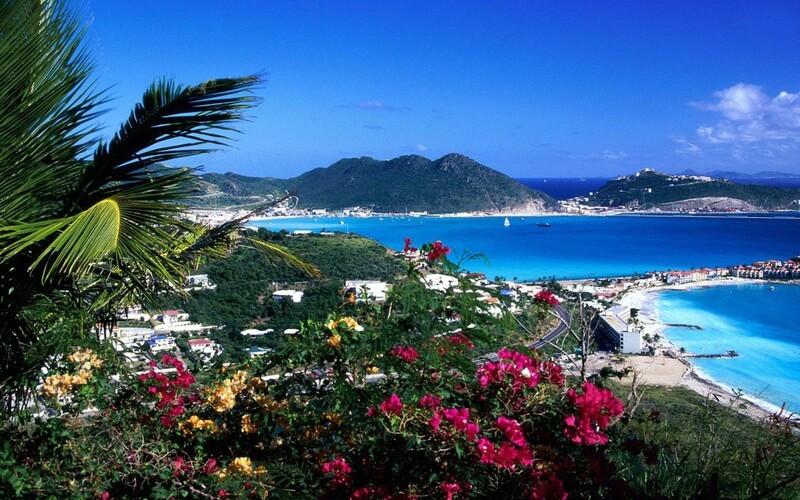 St. Maarten’s Department of the Interior and Kingdom Relations (BAK) is the designated focal point for the Sustainable Development Goals on St. Maarten. Ms. Drs. L. Morales, program manager at BAK can be contacted to be part of the SDGs process. You can reach her via government email loekie.morales@sintmaartengov.org or per telephone number +1721-5271223.